Munnar is a hill station in the mountains of Kerala, India. 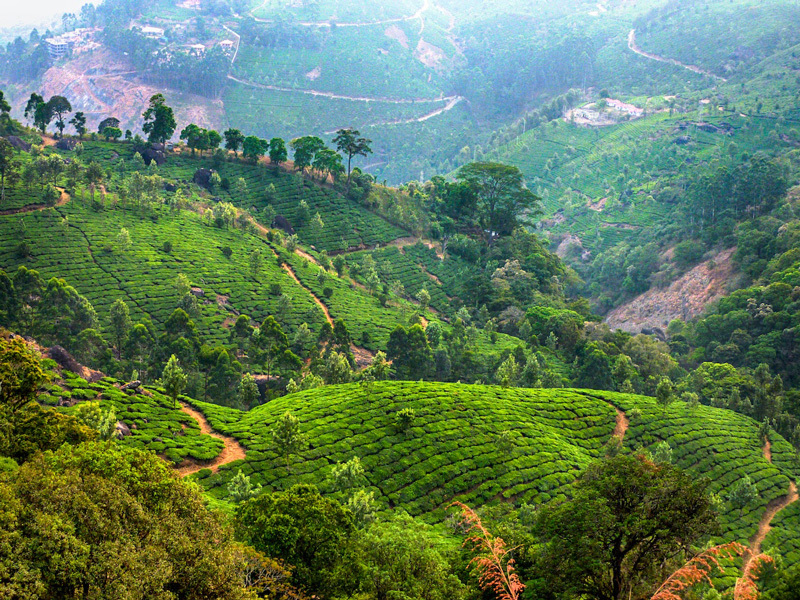 Surrounded by tea plantations, it is a lush, green place, peaceful and inspiring. Almost 100 miles from even the nearest train station, it is one of the best places to go if you need to unwind. Up here no one minds if all you want to do is sit by the lake and think. The air is fresh, the scenery almost makes you cry from the beauty of it, and you really feel like you’ve successfully left modern life and all its worries behind. Up here in the mountains, you could almost have entered heaven or Paradise.